This is a small Mediterranean country that is rich in historic places of interest. Lebanon charms its guests with elegant culture and unforgettable exotic nature. 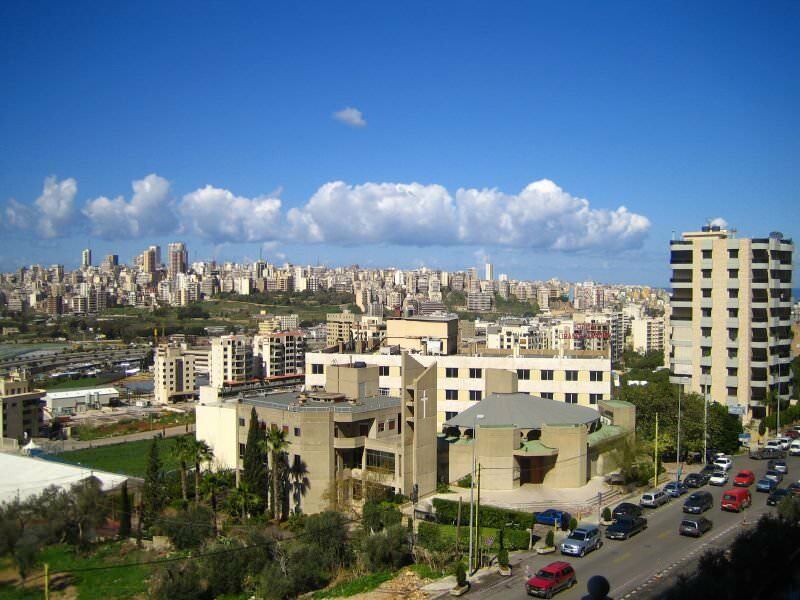 Several important landmarks are located in the capital of the city, Beirut. Grand Mosque is the oldest building in Lebanon. It was built yet during the Byzantine Empire times and originally looked like a small church. The church was built by Crusaders, and in the end of the 13th century it was transformed into a mosque. The House of Martin, which is located in the central part of the city, is an important sight of the war period. The house was severely damaged during the war, same as most buildings in the area. One can see many damaged houses and memorials in this part of Beirut. Pigeon Rocks are known as one of the most beautiful places in the country. The rocks look like magnificent cliffs located near the coastline. The panoramic view from the rocks is simply breath-taking, especially during sunset. The city of Byblos is an important archaeological and historical centre of the country. This city is home to several ancient settlements. 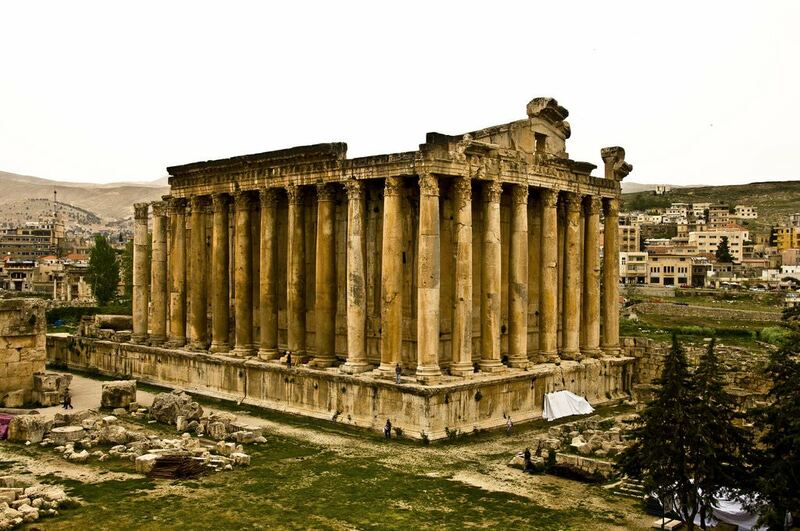 Archaeologists have discovered here ruins of the ancient Gebal Temple, royal tombs and several houses built more than 5 thousand years ago. Ancient Romans were the first settlers on this land. Nowadays, only a big amphitheatre reminds of that period. There are landmarks that belong to newer period in Gebal, such as the Castle of Crusaders. The castle is built on a hill and is perfectly visible from every part of the city. Tyr is a beautiful Lebanese city with several sights that belong to the Roman Empire times. The ancient hippodrome may be the most famous one. Many centuries ago, the hippodrome could seat up to 20 thousand visitors. The monumental arc is also worth attention. The arc is decorated with carvings and marble details. 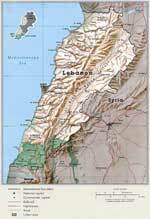 Despite its tiny area, Lebanon has a lot of unique features. In the country, there is the oldest city on the planet, Byblos, that was found over 7 000 years ago. Already in the prehistoric period, the territory of the country was populated by the advanced civilization, the representatives of which created the first alphabet in the history of mankind. Exactly here, people started to melt glass for the first time and created purple paint, the unique composition of which has been a mystery to scientists for many years. 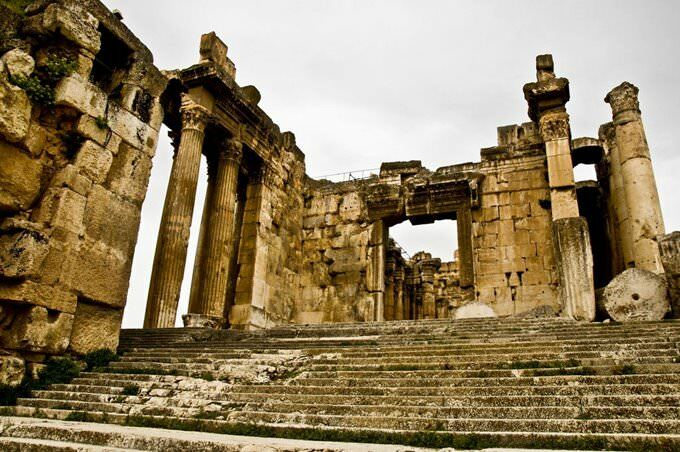 Besides rich history and diversity of historical attractions, Lebanon has a lot of wonderful features. In the country, there are wonderful beach resorts, the most popular of which are Sidon, Beirut, Nabatieh, and Tyre. The cleanest and most attractive places for recreation are the beaches of Tyre. It also should be noted that most of the beaches here are paid. The payment for visiting them implies a range of additional services, including the use of beach equipment. Shopping in Lebanon also promises to be incredibly exciting. There are large shopping centers where you can buy clothes from world-famous brands, as well as small stores offering the products of the local production. Some of the most popular souvenirs are items made of legendary Lebanese cedar. The women’s favorite gift is organic olive oil. In gift shops, tourists can buy beautiful copper items, accessories for making coffee, national clothes, and luxurious Lebanese silk. Silk items deserve a special attention. In terms of their quality, Lebanon is one of the world leaders. Lebanon is also notable for jewels that attract foreign guests with their affordable prices and high quality. Many popular products of the national production can be bought only on the market. In the colonial epoch, the first wineries were found in the country. Some of them still work now. As for food souvenirs, wine is very popular with tourists. People also buy here olive oil, halva and other national sweets. The true “sweet capital” of Lebanon is Tripoli where the best sweets in the country are made. There are a lot of specialized shops in the city, more than ever, but many tourists prefer buying sweets on the market. This article about iconic landmarks and sights of Lebanon is protected by the copyright law. You can re-use the content, but only under the condition of placement of an active link to www.orangesmile.com. 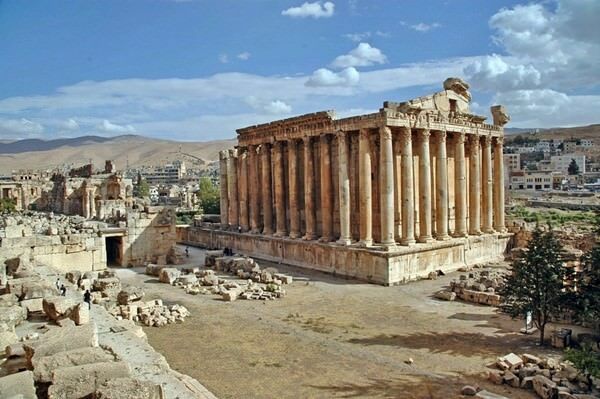 Baalbek is one of the oldest towns in the world. It is located in a picturesque mountain region near Beirut. The parts of the buildings that were found there, amaze people with sizes and the architectural accuracy. All the buildings on the territory of the ancient town were built simultaneously with the great pyramids of Giza. It is hard to imagine how all the cathedrals and other buildings were built at those ancient times. One of the most interesting buildings that you can see even now is the ancient cathedral. It is situated on a large terrace which was built much earlier. Work on the implementation of a unique project to build a villa Casa Brutale has begun in Beirut. 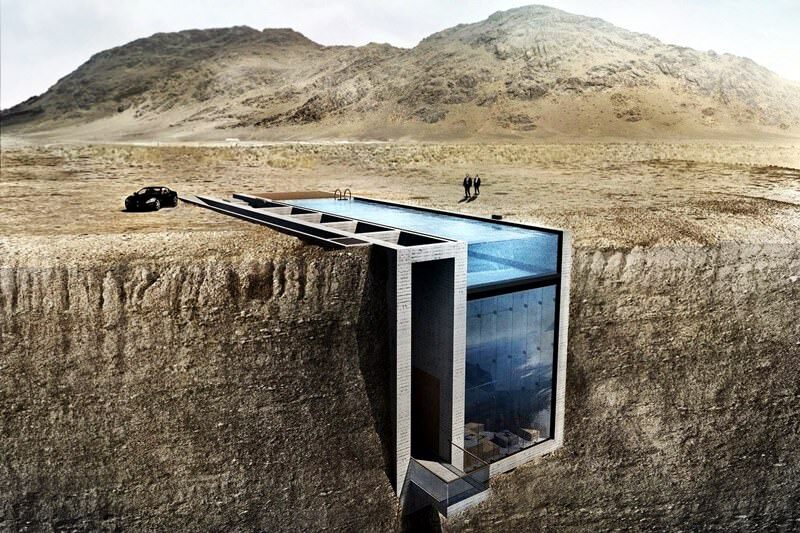 The main feature of the brutal villa is that it will be built right on the rocky cliff above the Aegean Sea. The original building is the perfect home for those who love to watch the seascape from a height. Developers of the project are experts from Open Platform for Architecture bureau. They have created a project of the house in minimalist style that has been recognized as one of the most unique in the world. The Jeita Grotto is one of Lebanon's most remarkable sights. 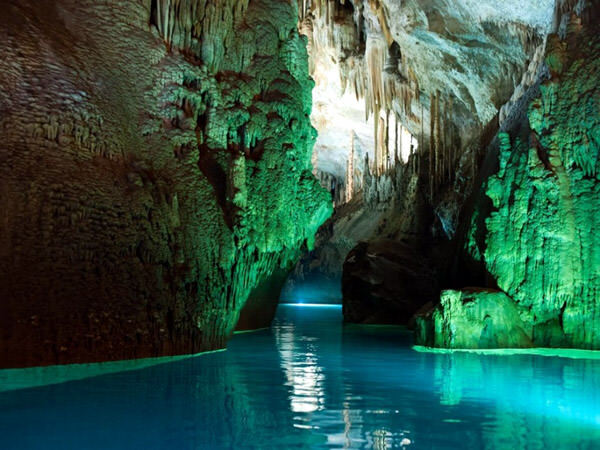 This is a complex of two large limestone caves, whose general length is about 9 km. The lower cave was discovered a long time ago, in the first half of the 19th century. As it was found out by scientists, this cave was inhabited in prehistoric times. You can get to the lower cave only by boat, as it is filled by an underground river. It is important to note that the latter has great importance. It serves as the main source of fresh water for more than a million local residents.